Australia's leading provider of industrial supplies, is the largest operating unit of Wesfarmers Industrial and Safety, a division of the Wesfarmers group which is an ASX listed company and one of the largest employers in Australia. 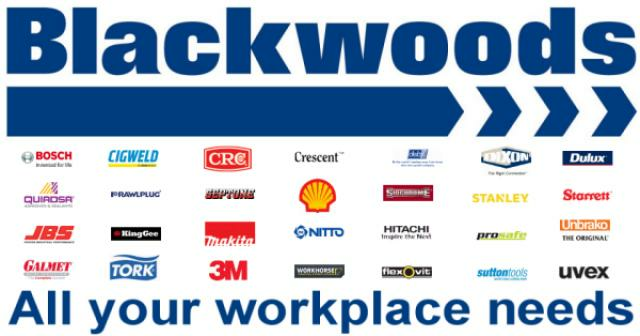 Blackwoods Xpress is the one place for all your tools, safety, PPE, workwear, signage, workplace training and welding & gas needs along with so much more. Delivering to most locations all around Australia from Sydney, Melbourne and other cities to towns and regional Australia. Plus as the Power House for Power Tools, we have all the best brands available to buy online, including Milwaukee, Bosch, Dewalt, and Makita, offering the best range and deals. With unrivaled expertise and the ability to bring together the best of the best, we have earned our place as Australia's first choice for industrial and safety products and services. Blackwoods is proud to provide products and services that are essential to the economic growth and prosperity of our country. Every day we help more people to build a better Australia.